Cran Aloe is a healthy drink that may help you rejuvenate your body with its dynamic fusion of cranberry and aloe vera juice with natural antioxidants. 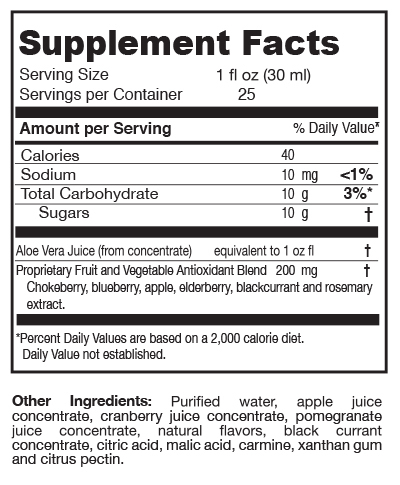 Cran Aloe may aid with an excellent urinary tract and gastric system support. Mix 2 table spoons in 8 oz. of water. It can be taken in the morning, afternoon and evening, prior to, during or after meals.